Our High Purity Quartz Powder Having Sio2 ; 99.999% Can Be Used in Producing Cruisibles, Solar Panels, Opticle Fibre, Semi Conductors, Ceramics, Rubber & Glass Industry. The company is engaged in the manufacturing and supplying the highest grade Quartz Powder all across the globe. The demand for our Quartz Powder has tremendously increased over the time, owing to its premium quality and accurate composition. Moreover, the company provides the Quartz Powder at the most competitive prices for the global clients. Normal : This is the widely used grade ofQuartz Powder. Silica content here is in the range of 95% to 97 %. This is the cheapest grade available. White Grade : Silica content here is in the range of 97% to 98%. Snow White Grade : Silica content here is in the range of 98% to 99%. Super Snow White Grade : Silica content here is in the range of 99% to 99.9%. 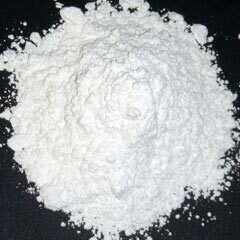 Super Snow White (Extra White Milky Grade) : Silica content here is in the range of 99.999%. Amilky white quartz powderrequires extraordinary care by the manufacturer, in selection, purity and grading of raw materials and careful packing. Maintaining this quality to achieve a perfectdryness requires equal care from you, the user , from the moment anymass reaches your factory until the first metal is poured. Maintain sufficient inventory so that quality lining materials are available at all times. Before you receive thequartz powder, set aside a clean permanently dry area in the stores , away from coal dust , cement boric acid , furnace additives etc, Which are harmful to thepowder, if they accidentally spillon the materialbags. Sweep thoroughly and lay down some wooden supports to keep bags away from damp floor.